Miso Salmon. Ikura. Mushroom rice. This may be one of my new favorite dishes so far. While browsing through Instagram the other day, I came across a picture of salmon topped with a mountain of ikura. As soon as I saw it, I had to have it. The following day I went to my local Asian market and purchased as much ikura as I could afford – ikura is not cheap by any means! To make it into one complete meal, I whipped up mushroom rice and seasoned the fish with miso. 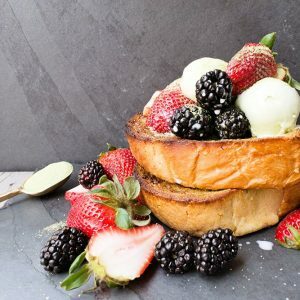 I kid you not, my fiance muttered the words, “oh my god” with his first bite. 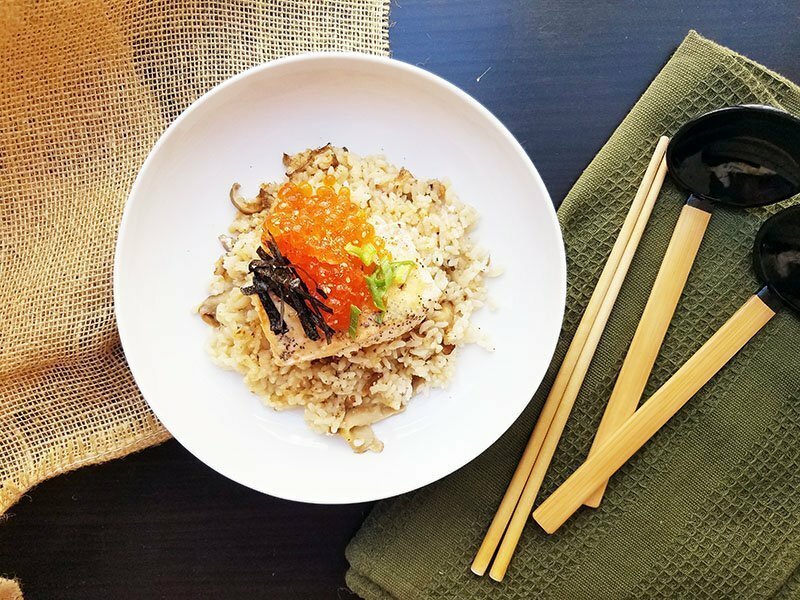 Here is the recipe for miso salmon with ikura and mushroom rice. Prepare the miso salmon. Mix together miso paste with mirin and sake. Brush on top of salmon. Heat saute pan over medium-high heat. Add oil. Carefully lay salmon skin side down and sear until crispy, about 4-5 minutes. Remove salmon and set aside. Heat shallow saute-pan over medium heat. Melt 2 tbsp butter. Add mushrooms and saute until browned, about 5 minutes. Add cooked rice, soy sauce and remaining 2 tbsp butter, stirring until butter has melted. Season rice with salt and pepper. Spread rice in one even layer. Lay the salmon on top and pour water around the edges of the pan. Reduce heat to low and cover pan. Cook until salmon easily flakes with a fork, about 7-8 minutes. Add more water if the rice begins to stick to the bottom. Remove lid. Top salmon with ikura and garnish with sliced green onion. Serve immediately. The first time I prepared this dish, I used cooked rice for the mushroom rice. The second time I made it (yes, I admit, I had it twice in one week), I used raw rice and cooked it right with the fish. Having tried both ways, I believe the dish was more successful when made with cooked rice. Why? Because the fish cooks faster than raw rice. Using already cooked rice allows both items to be done at the same time. First, sear the salmon. I used salmon with the skin still on so I pan seared the bottom to allow the skin to get nice and crispy. The fish won’t be fully cooked but don’t worry; it will finish steaming once placed on the rice. Set aside the salmon and start on the mushroom rice. The secret ingredient for making the rice utterly delicious? Butter. Just as fried rice needs butter, this mushroom rice needs butter. Once the mushroom is cooked and the rice is mixed in, place the salmon on top. Cover the pan and cook for 7-8 minutes or until the fish is done. Remove from heat and top with a healthy amount of ikura. 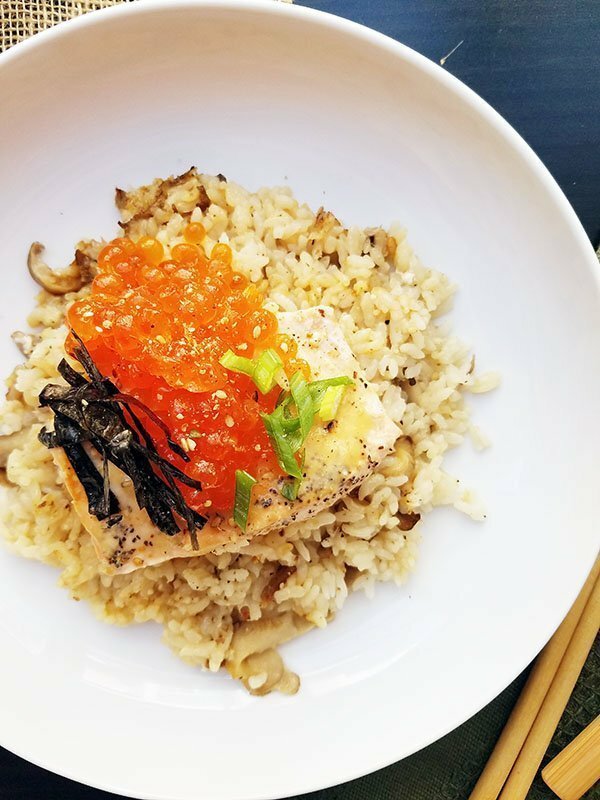 This salmon with ikura and mushroom rice is so simple but incredibly delicious. 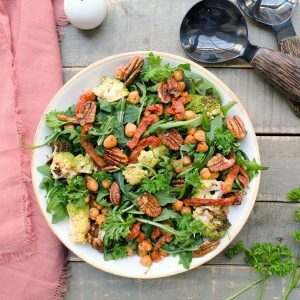 My favorite meals are the ones composed of few ingredients that marry together with ease. 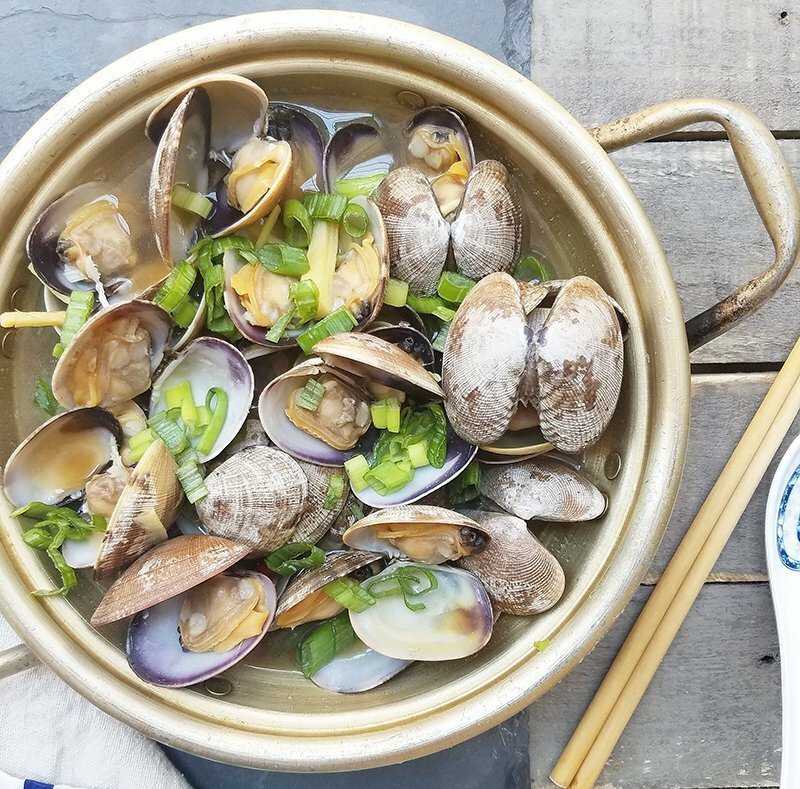 Just writing about this recipe makes me want to make this dish for the third time! With the trip to Kyoto around the corner, perhaps I will find something similar to this beautiful bowl.